The Justice Department will not be re-opening a criminal investigation to consider charging former IRS official Lois Lerner for her role in delaying non-profit status for conservative groups, the DOJ said in a letter to top members of the House Ways and Means Committee. Lerner, former head of the IRS' exempt organizations division, became a focus for conservative groups after IRS employees delayed some applications for non-profit status based on applicants' names or policy positions. Many of those groups were conservative, such as local tea party organizations. The DOJ -- along with the Treasury Office of Inspector General -- investigated and found mismanagement at the IRS, but in 2015 determined there wasn't sufficient evidence of criminal wrongdoing to pursue criminal charges. Conservatives had hoped that President Trump's Justice Department, under Attorney General Jeff Sessions, would reconsider, and the Ways and Means Committee made such a request on April 12. The DOJ on Friday made it clear that won't be happening. After reviewing the evidence, including information provided by the committee and the prosecutorial decisions that had been made, Assistant Attorney General Stephen Boyd notified the committee's chairman, Rep. Kevin Brady, R-Texas, and Rep. Peter Roskam, R-Illinois, a chairman of the committee's subcommittee on tax policy, that the department would not be reopening the case. "[T]he department determined that reopening the criminal investigation would not be appropriate based on the available evidence," Boyd wrote. The decision frustrated Brady and Roskam. "This is a terrible decision," Brady said in a statement. "It sends the message that the same legal, ethical, and constitutional standards we all live by do not apply to Washington political appointees – who will now have the green light to target Americans for their political beliefs and mislead investigators without ever being held accountable for their lawlessness. Not only has the Department of Justice chosen not to hold Lois Lerner criminally liable for obstructing an official investigation by the Inspector General, the Department continues to defend the Internal Revenue Service's unconstitutional actions against taxpayers in ongoing civil litigation. "I have the utmost respect for Attorney General Sessions, but I'm troubled by his department's lack of action to fully respond to our request and deliver accountability. Today's decision does not mean Lois Lerner is innocent. It means the justice system in Washington is deeply flawed." Roskam called the decision not to prosecute, "a miscarriage of justice." Rep. Jim Jordan, R-Ohio, who was integral in congressional hearings about Lerner and the IRS, said the DOJ's decision was an "insult to the everyday Americans who Lois Lerner targeted." "This is exactly what frustrates the American people about Washington: Connected people like Lois Lerner get away with things that ordinary Americans would be punished for," Jordan said in a statement. "Only in this town can someone who broke the law and lied to federal investigators get away unpunished for their actions. This is an insult to the everyday Americans who Lois Lerner targeted." The House Ways and Means Committee and House Oversight and Government Reform committee held hearing after hearing over what became known as the IRS targeting scandal, with conservative members calling for additional reforms even after Lerner left the IRS. 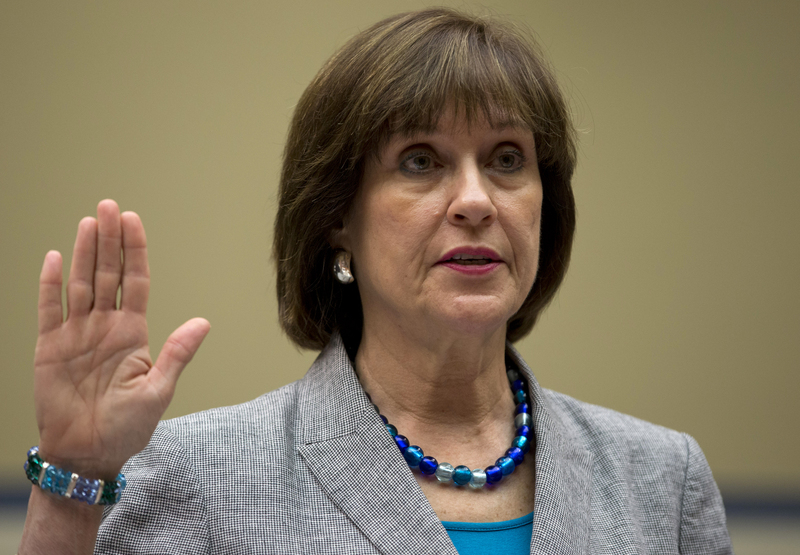 Lerner plead the Fifth Amendment and declined to testify. And the IRS lost thousands of Lerner's emails that conservatives hoped would point to evidence of wrongdoing.